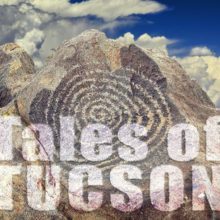 TALES OF TUCSON is a show of original radio dramas co-written and co-produced by Laura Markowitz and John Vornholt. Episodes are inspired by the legends, mysteries and history of the Sonoran Southwest and take place in real locations around Southern Arizona. You can hear the actual sounds of events and places, as TALES OF TUCSON blends the real and fictional by using both local actors and real people who play themselves. Tune in to KXCI to hear TALES OF TUCSON dramas, comedies, ghost stories, love stories, mysteries, Westerns, sci-fi and more. A father-daughter excursion to Tucson’s Titan Missile Museum goes awry when a freak accident sends the man on a timeless adventure on the brink of nuclear war. Featuring the voices of John Vornholt, Ella Bracale, Tony Eckstat, MK LeFevour, the late Gary McGaha, and special guest Yvonne Morris, Director of the Titan Missile Museum. Ella Bracale and John Vornholt play a father and daughter on a tour of the Titan Missile Museum in Episode 1 of Tales of Tucson. A popular legend from across the border tells of La Llorona, the weeping woman. Betrayed by a man, she drowned their two children in a fit of vengeful rage. Suddenly realizing what she had done, she drowned herself. Now it is said that her ghost haunts rivers and lakes, where she forever weeps for her lost children. “La Llorona of the Santa Cruz River” is a contemporary retelling of this tragic folktale. The story was inspired by the countless parents from Central America who made the difficult choice to send their children across the U.S. border in the hopes that they would be safe here and find a better life. Featuring the voices of Esther Almazan, Priscilla Fernandez, Meagan Jones, the late John Mcrostie, Luke Salcido, Ella Bracale, Eddie Diaz, Bree Boyd and Paul Hammack. Laura Markowitz and John Vornholt have each explored different forms of storytelling throughout their careers. Markowitz is a book editor, novelist, National Magazine Award-winning feature writer, and multimedia producer. Vornholt is a New York Times best-selling author of more than 65 novels, as well as plays, radio dramas and screenplays. He is also a theatrical producer and director.